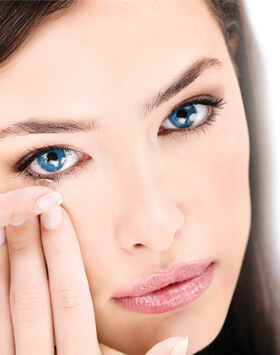 HYLO® is recommended for rewetting contact lenses to minimize dryness. HYLO® is compatible with hard and soft contact lenses and can be used while wearing contact lenses. Why is HYLO® suitable for contact lens wearers? HYLO® can be recommended to contact lens wearers for moisturizing / rewetting. Is HYLO®DUAL suitable for contact lens wearers? HYLO®DUAL can be used while wearing hard and soft contact lenses.